Pharmacyonline365.com, this sounds like a very English name, but it isn’t. 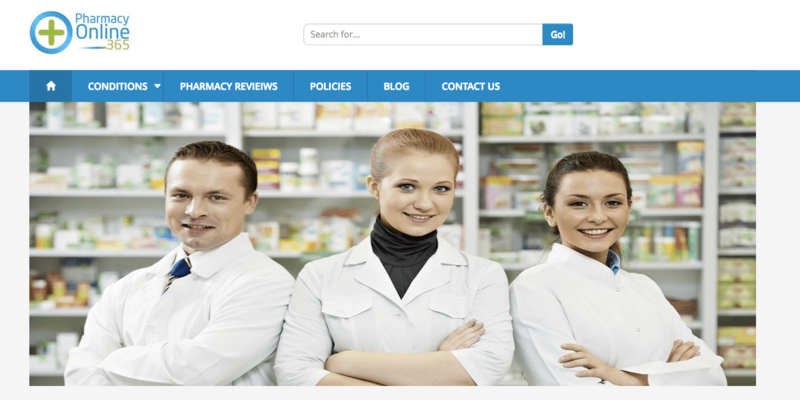 Yes, Pharmacyonline365.com is a Russian pharmacy, and it has been serving English speaking countries for a while. The user’s don’t seem to complain much about their products, so that’s a good start. Following, we are going to review this company and conclude whether you should trust it or not. 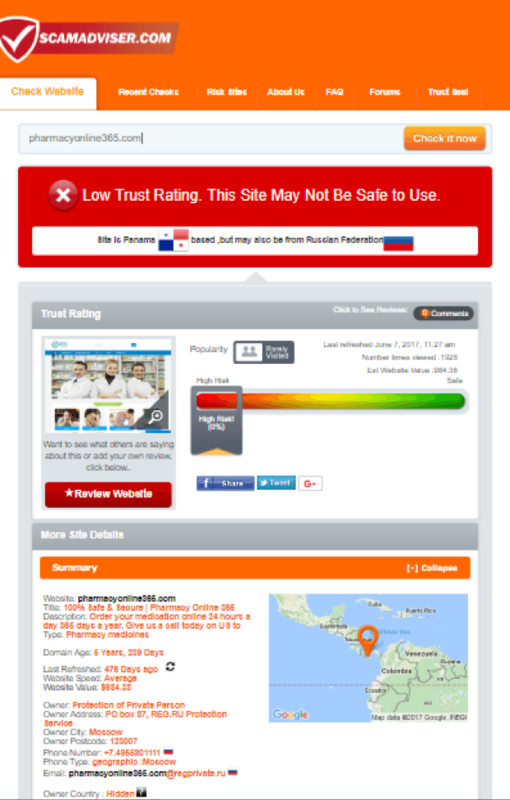 Pharmacyonline365.com isn’t a safe and secure online medication centre. The scamadviser gave this site a 0% trust score. This is very low and shows that you shouldn’t trust it. Data shows that a Russian parent company owns it. There are not too many details available about the owner. The website is not very old; it is only 1.5 years old. 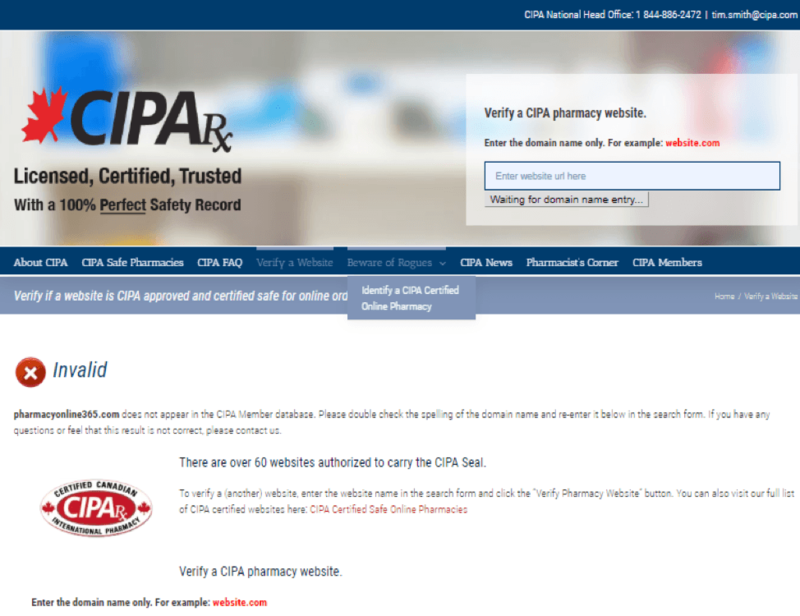 CIPA labels Pharmancyonline365.com as “Invalid”. This didn’t come off as a major surprise. We are reviewing a Russian pharmacy today, and CIPA only controls the Canadian market. We were expecting this. But it would have been nice if CIPA had something on this pharmacy. It would have helped our case and help us to know what sort of expectations we should have from a brand like this. The legitscript is among the most regarded online checkers. 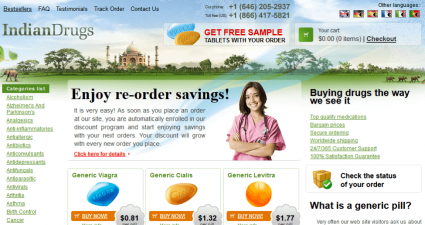 It has a vast database with almost every online pharmacy. The company review online companies and tells the audience whether they should trust them or not. Unfortunately, we had no luck with the Legitscript. 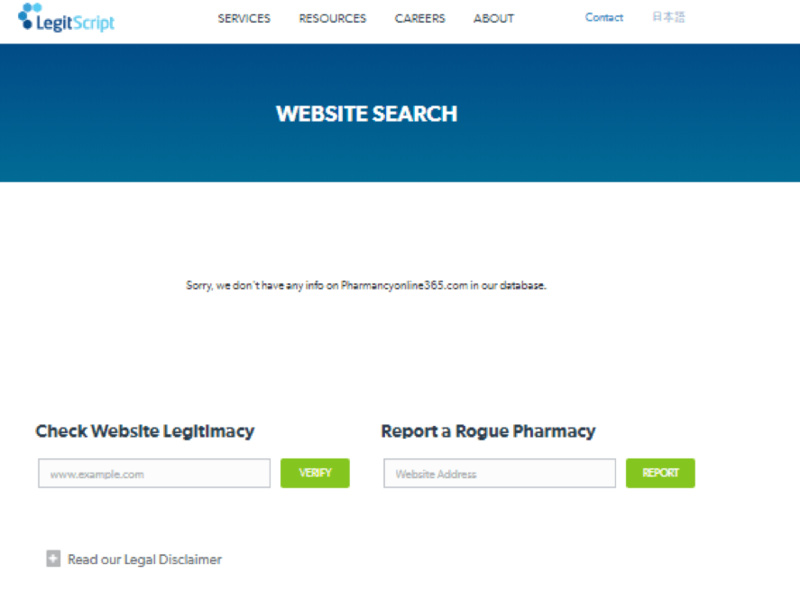 It has no information on Pharmacyonline365.com in its database. Pharmacychecker has nothing for us. We tapped into every list this site had and didn’t find Pharmancyonline365.com anywhere. We are surprised to learn that Pharmacy Online 365 is not very popular. This is contrary to what the Pharmacyonline365.com says on its homepage. We dug around the website and found a few issues with the company. But we didn’t expect it to lie on its popularity. This is a new low for us. TrustPilot also has nothing available for us. This is quite the surprise because TrustPilot is a popular platform that has thousands of users. 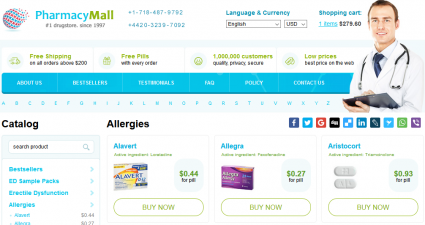 We find it hard to believe that no one filed anything on the Russian online pharmacy. This is very unlikely. We can’t comment on anything, but on the popularity of Pharmacyonline365.com. Yes, the company had high self-esteem, but the reality check is, literally no one knows about this company. 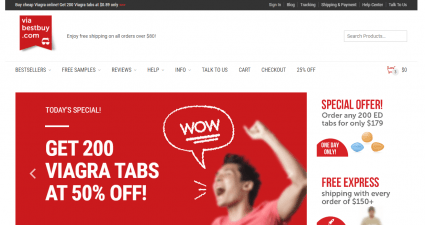 WOT is also a popular checker that doesn’t have anything on Pharmacyonline365.com. The company needs to make some severe changes in how it operates, or it won’t survive in the competitive market space. It needs to find a way to create brand awareness. Pharmacyonline365.com had no interest in getting any Google Reviews. This would have been an excellent advertisement opportunity, but the company on purpose missed on it. We don’t know what the brains behind this brand are thinking, but we realize they are up to no good. 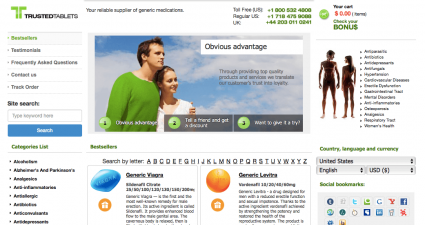 We had the pleasure of reviewing a Russian online pharmacy. We wish we could say that you should try It out. But it seems the Pharmacyonline365.com’s team is practicing every bad omen in the rule book. Put simply; you should stay away from this pharmacy. This wraps our review of the risky pharmacy. 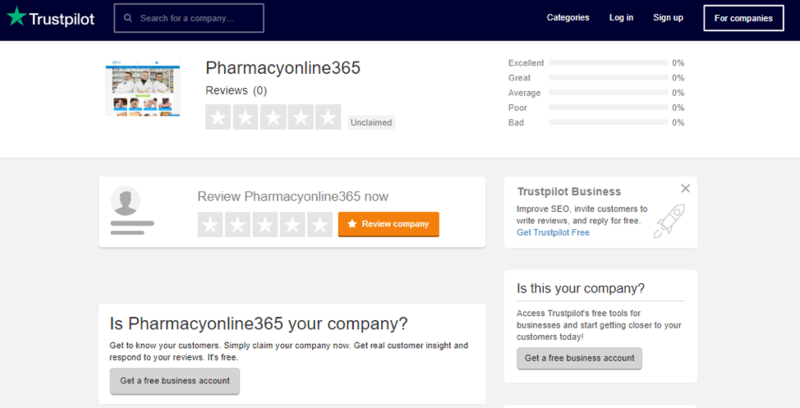 We give Pharmacyonline365.com 1 out of 5 stars.